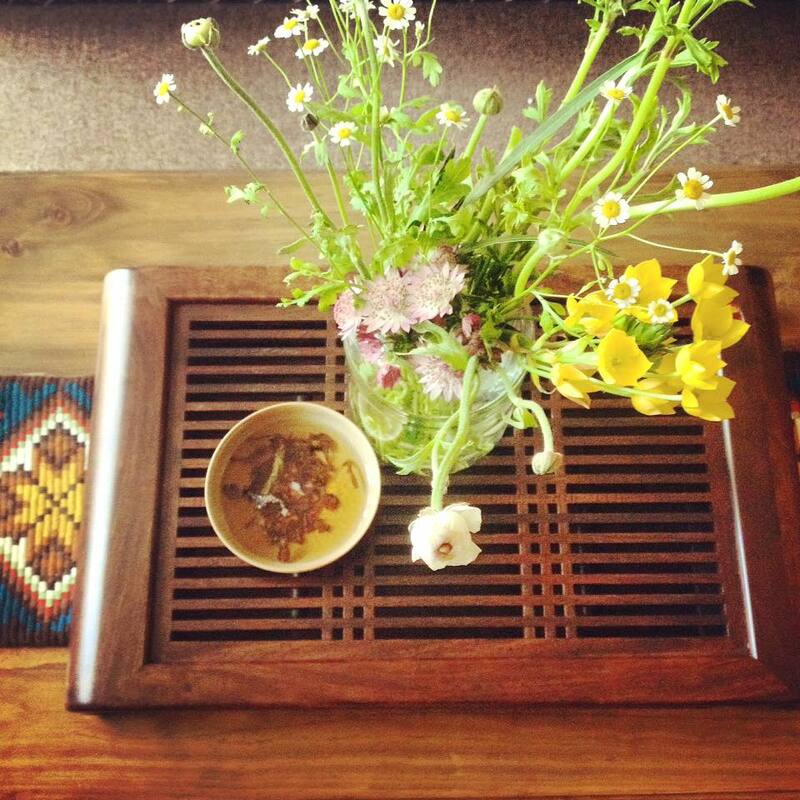 Today I wanted to tell you a little bit more about Uluntu Space, where Thursday's Tea Meditations take place. Everyone always comments that it is amazing to have a Tea Ceremony, a Tea meditation not to so many beautiful and unusual flowers, because in this way it is much easier to connect to yourself and nature. Each time I use flowers from the shop for our Chaxi - the setting of the tea table. It works almost like a magic, transforming the whole energy of the tea space. Uluntu is translated as Community in one of the South African languages, and this is how this space feels! You come in, and you feel like you came to a friend's house, the guys meet you and greet you, and you will be able to have some tea there soon (from March) - a good quality tea, that gives you a state of joy, happiness and inspiration. This is going to be a collaboration of T-Lovers tea and Uluntu Bermondsey. So please follow us for more news on this! Before I left Den gave me an Eucaliptus branch to take home. So my house looks as beautiful as ever with the magic touch of Uluntu Flowers. I am in LOVE. And this place is going to be perfect for tea. Amazing, living, quality tea. The opening os a tea house is planned for the 6 March. It's Sunday, and I hope I will see many of you who have been to my Tea Tours and Meditations!!!! Uluntu Bermondsey is at 63 Tower Bridge Road, SE1 4TL.